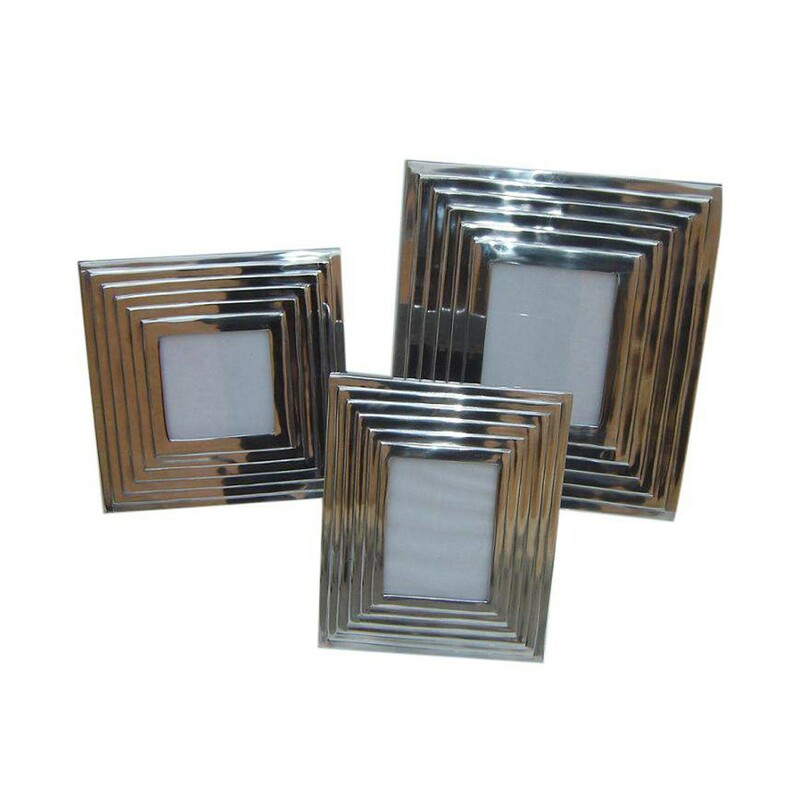 When buying a wall picture frame online the choice can vary in quality. 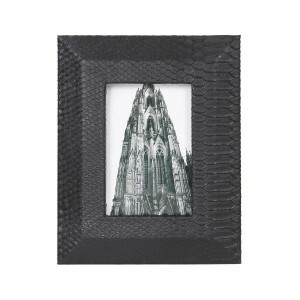 This medium picture frame is excellent quality. It is solid, polished aluminium and fantastically tactile. Its design features three-dimensional, concentric squares that look like an ancient Mayan temple glinting in the sunlight. It is super stylish and almost too beautiful to contain a photo or image . Group in a display of three or five picture frames with varying sizes and materials for a show stopping wall. It works as well in a monochrome colour scheme as in one with natural materials and colours. It is a piece of art in its own right.